Just ordered the ''Lee Hand Loading Kit for the 45 Colt'' , I want to order the ''Lee Hand Loading Kit for 410 shotgun Shells'' but for some reason it doesn't seem to exist anymore. PLEASE tell me why on earth it isn't being made anymore? 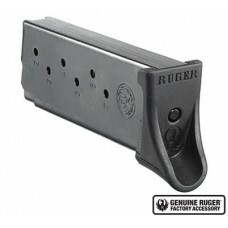 Those lucky enough to have one, seem t..
Genuine Ruger replacement magazine. Blued steel 7-round 9mm magazine with extended floorplate.Fits:R..